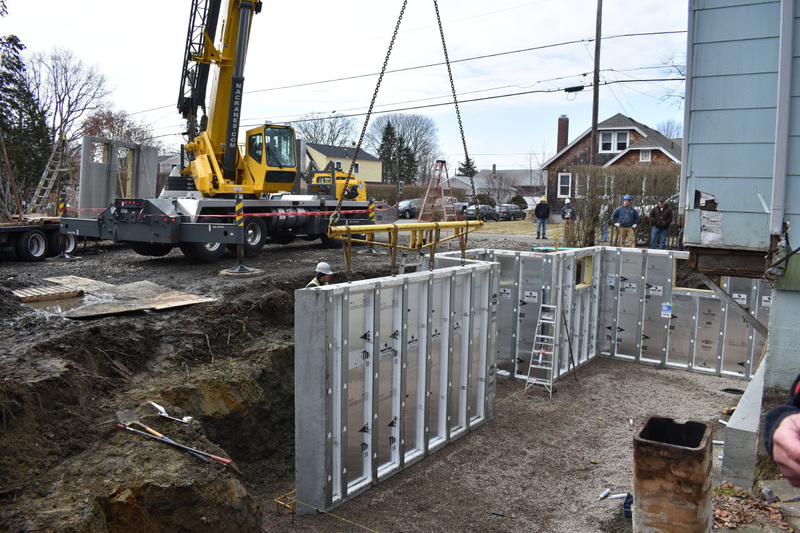 This Old House spec’d a precast concrete foundation for a net-zero energy house in Rhode Island. The team at This Old House headed to a century-old New England cottage in Jamestown, R.I., to restore the home’s charm while also making it energy efficient. 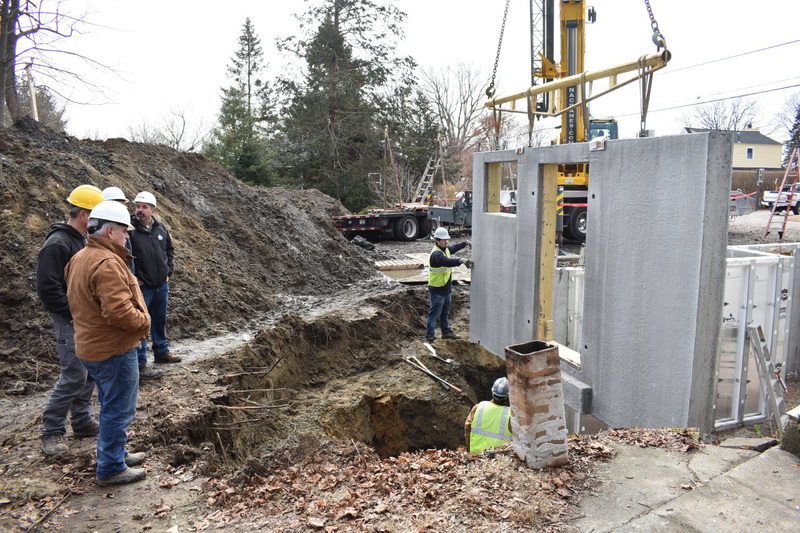 Homeowners Dana and Donald Powers have a net-zero energy goal for the new home for their family of four, with state-of-the-art energy efficiency and environmental sensitivity at top of mind. The Xi Plus walls from Superior Walls fit perfectly with the goal of creating an energy efficient home. As opposed to concrete blocks or poured concrete, precast Xi Plus concrete panels from Superior Walls are created in the manufacturing process with DOW® THERMAX™ insulation covering rigid foam insulation. The panels are available with a built-in insulation value of R-21.3 and can be insulated up to R-42+. The wall panels used in the project provide R-values that meet or exceed energy conservation values from both the IECC and the IRC, and the Xi Plus wall panels can help in the construction of an ENERGY STAR® qualified home. The Superior Walls Xi Plus wall panels in the Power’s home have achieved the NGBS Green Certified Product designation provided by Home Innovation Research Labs. Photos by Mike Last for This Old House.